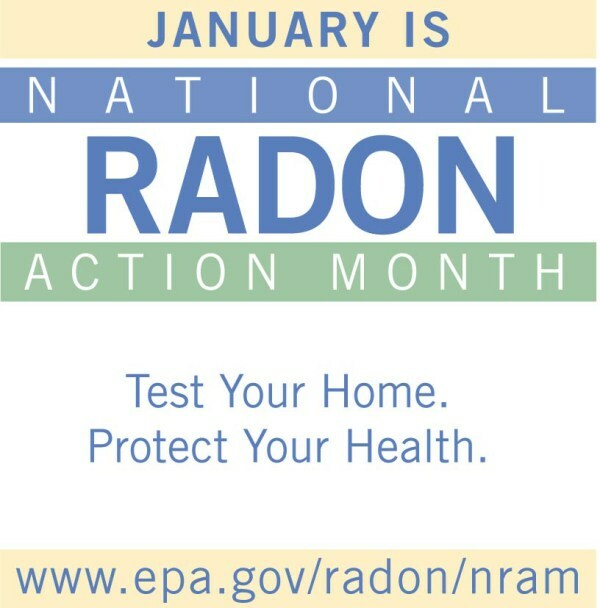 January is National Radon Action Month and we are offering free Radon Test Kits so you can protect your health and your home. Radon is a naturally occurring radioactive gas which you cannot see, smell, or taste, so it could be present at dangerous levels at home without you knowing it. This gas is the second leading cause of lung cancer deaths in the United States and the number one leading cause among non-smokers, claiming more than 20,000 lives every year. If a high radon level is detected in your home, it can be fixed through mitigation, Radon reduction techniques, and reduction systems. We have Radon Test Kits available at our office at no cost to you while supplies last. Contact us for availability at 919-245-2055 or 919-245-2050. 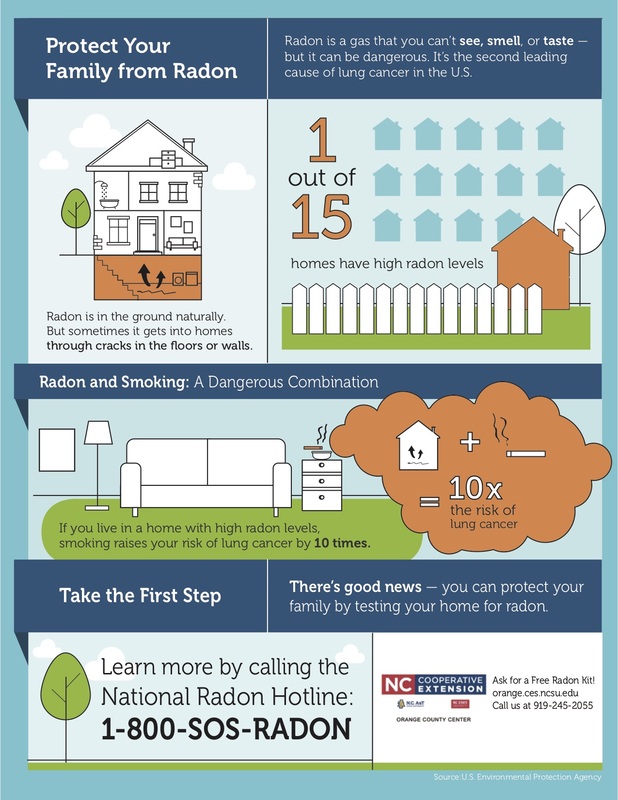 For more information about what you can do to protect your health at home, please visit the EPA Radon website or the North Carolina Radon Program website.